Rothco’s Reflective Physical Training Belt is perfect for staying safe while training in the darker hours of the day. 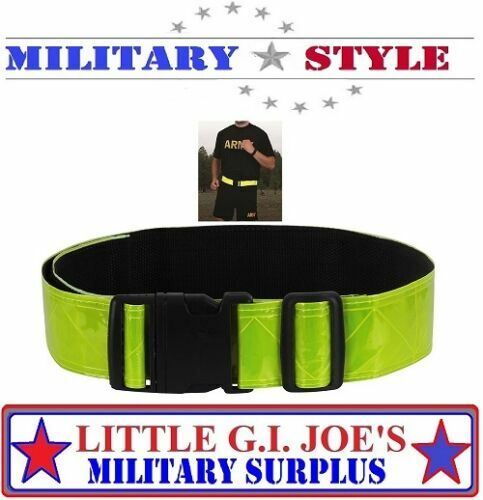 This PT belt is made from a reflective yellow PVC material with polyester lining. The belt is no stretch and is fully adjustable with a slide adjustment buckle as well as a side release buckle closure. This reflective safety belt measures 45” in length and 2” in width.